If you’re looking for reliable furnace installation and replacement services in The Woodlands, call 281-704-3696 today and enjoy expert heating solutions at affordable prices. We will schedule an appointment for one of our specialists to evaluate the situation and provide you with the solution that makes the most sense. Take advantage of our online coupons and specials by clicking here. Furnace issues happen to most homeowners at some point, but if you have yours installed by experienced, reputable service providers you can limit the instances of trouble. An effective heating system has to start with high-quality installation, so if you keep that in mind and follow through, you’ll be well on your way to having a furnace that lasts for many years. If you want to know what your neighbors in The Woodlands, TX think of our heating services, click here now. Some of the signs that indicate a problem with your furnace are quite subtle. You won’t always have the system shut down entirely right from the get go. You may hear unusual sounds or detect strange odors as your system is running, you might see water near the base of your furnace, there may be poor airflow coming from the vents, or the air may feel cool. Whatever the sign, it’s wise to call for help as soon as possible to get the problem fixed before bigger issues surface. When is a Replacement Necessary? If your furnace is older than 15 years and has been causing you trouble, it may be time to update to a newer, more energy efficient model. 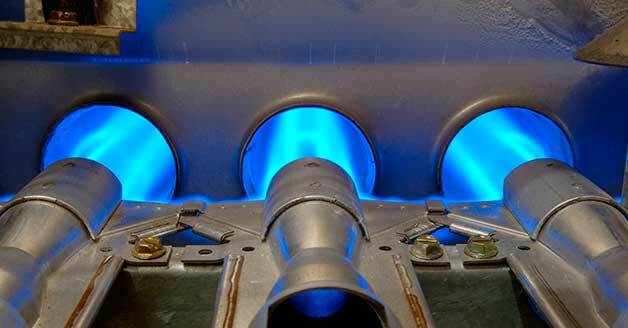 The last thing you need is for the furnace to shut down completely when you need it the most. An out-of-date heating system means less efficient heating, higher bills, and the possibility of carbon monoxide leaks. A new furnace will give you years of faithful service, as long as it is installed correctly. Since a furnace lasts so long, it’s never a good idea to try and save a few dollars with amateur or DIY installation. In the end, you’ll end up paying more in heating bills, more in repairs, and your system won’t last as long as it will require replacement sooner than necessary. Find a reputable service provider and have your furnace installed to the highest industry standards. Your furnace will never work well for an extended period of time if the installation wasn’t completed correctly. When you call Affordable American Air Conditioning & Heating at 281-704-3696 in The Woodlands, TX area, we will get your system installed safely and effectively for your long-term peace of mind.